Online gifts to the Shepherd Center Foundation are generally unrestricted, or, you may designate your gift to be used in a particular area that interests you, such as patient care, clinical research or educational programs for people with disabilities. 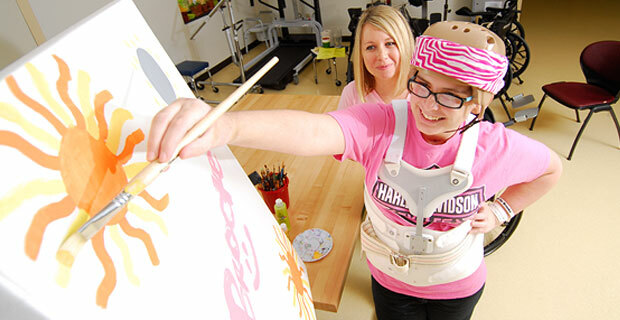 For patients recovering from a catastrophic injury, the support provided by family and loved ones is critical to their successful recovery and transition to their home and community. 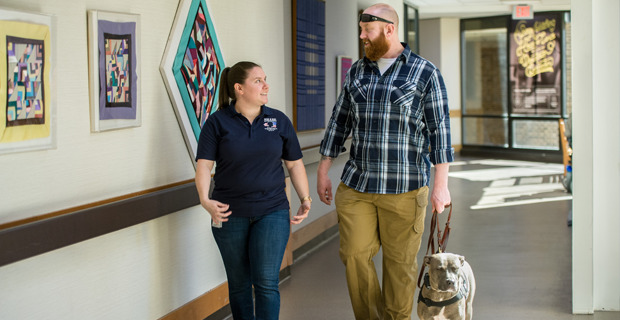 For this reason, Shepherd Center offers complimentary housing for 30 days to families of newly injured rehabilitation patients if both the patient and family live 60 or more miles from the hospital. Family Housing ensures that patients have the support they need, and it allows visiting family members to focus on their loved one’s recovery without the stress of locating and covering the costs of hotels, parking, and transportation. 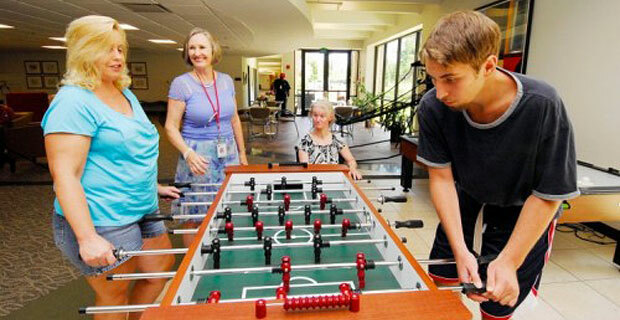 More than sports and fitness, Shepherd Center’s renowned Recreation Therapy Program engages patients in community reintegration outings to familiar activities such as grocery shopping, going to the airport, restaurants and retail stores to safely learn and practice the everyday skills needed to return to independent living. Our Recreation Therapy Program also introduces our patients to a world of leisure enjoyment in adaptive activities such as sports, horticulture, arts and crafts, hunting and fishing, and a variety of outdoor sports. 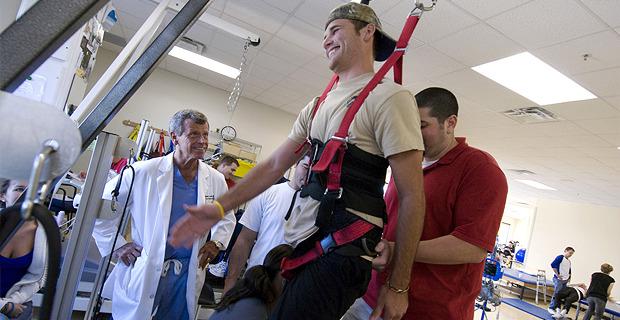 The SHARE Military Initiative at Shepherd Center is a comprehensive rehabilitation program that focuses on assessment and treatment for service men and women who have sustained a mild to moderate traumatic brain injury, along with co-occurring PTSD or other mental health concerns (such as depression or anxiety), from service in post-9/11 conflicts. The SHARE Military Initiative provides assistance, support, and education to service members and their families during their recovery treatment and beyond. The hospital has focused on clinical research impacting quality of life, adjustment to injury, the prevention and treatment of secondary complications, and community reintegration. Health services research explores ways to deliver patient care and control treatment costs. By measuring effectiveness, the Center can identify the most effective treatments.